First things first. Let me take a couple of lines to introduce myself. My name is Rusty and I have been installing fireplaces for about nine years now. You can read more about that in the "about us" section of our website. I have installed for shops as an employee, as an independent contractor and installing what I've sold. 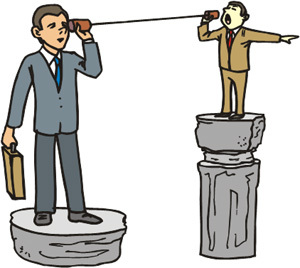 The # 1 issue that I see in all of these applications is BAD COMMUNICATION!!!. There are a lot of facets involved in the purchasing of a hearth product or barbecue. There is the technical side, the sales side, the install side and the service side of the process. With each of these individually there are a million moving parts involved. So, basically what I am saying is there is a lot of room for error on the side of the retailer to screw it up. That is why it is important to have each part of the process to be knowledgeable of their part of the process and to be familiar with the other parts of the consumer's experience. In the end, whether it is years of experience or green behind the ears, all the consumer wants to know is that they will be taken care of. The high btu output on their new product is nice but if we as retailers can't deliver what we promised then all is lost. The salesman sells the world and the installer comes out to deliver just a county; there is obviously something wrong here. The problem is where it comes down to handling the issue. All of the sudden that salesman that was practically at the homeowners front door is suddenly nowhere to be found. The installer is now standing there with his hands in his pockets and a red face apologizing profusely because he did his job according to his paperwork. I know, I've been there. The installer now leaves the house and the county has been delivered with the customer wondering when the world will be finished. This is where it gets real nasty; the salesman had a few days off with a couple of messages awaiting them upon their return. That is because the order takers who took the customers info while he was out didn't know how to handle the issue, hasn't been told to handle the issue and/or simply doesn't know how to handle the issue. The consumer's nightmare roller coaster has just begun. That salesman who is now back in the showroom fails to call the homeowner. Probably for the same reasons that the order taker didn't take care of it in the first place. A couple of days go by then the customer calls the shop once again and the salesman is "busy with a customer". The homeowner is thinking "I'M A CUSTOMER TOO!". Now they're feeling like they were a customer when it was time to collect money. Word to the wise: DON'T PAY IN FULL UNTIL COMPLETION. This tactic shouldn't have to be done but it will insure you get what you want. Now the salesman with his eyes closed calls the home phone number (knowing that there probably won't be an answer) during the middle of the day (knowing that they're probably at work) and leaves his sheepish and excuse riddled message. 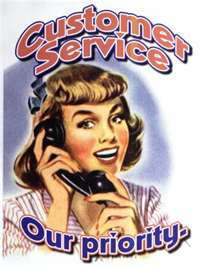 The customer then gets the message being calmed down a little bit just to start the "phone tag" cycle again. The customer now comes down to the showroom to "pin down" the salesman. Now the salesman looks like the installer did in their living room. The only difference is that the salesman is full of excuses not just apologies. The salesman then calls the "head honcho" so they can figure it out while the customer is waiting. They then use the tools on hand like throwing back refunds, giving free products/upgrades and/or even worse in store credit. I'm sorry, but after this experience I don't want to step foot into this place again. Has this happened to you? The problem is, further down the road the appliance or service provided has issues and the consumer now has a dilemma. Do I call the despised retailer or do I pay top market dollar to have it repaired? This should not be happening in any industry. There are tell-tale signs to weed out the good, bad and ugly. First, look for shops that do it all "in house"; some say they do but they just use guys like I used to be, a sub contractor. You can get good, not the best service, if there is good communication and product knowledge between all parties. Another downfall is there is finger pointing between product and install issues. Second thing is past customer reviews; the internet is a good place to hear these reviews. The third thing is do they have a planned service program; this usually does cost the consumer money but it is a good way to judge the retailers commitment to their product and service. The fourth thing is warranties; does the shop have a warranty that goes beyond their competitors warranty. How is their product warranty? The fifth and final thing is product knowledge; a lot of times the salesman has "brochure knowledge" or you hear "I use to install". I'm sorry, two days doesn't cut it. You want to look for tried and true experience. Individual, not company certifications are a great bench mark for determining which shop to buy from. Hopefully, we at RCS Fireplace will continue to break the mold of the "buying experience".